Cramer & Anderson Partner Barry S. Moller will be a guest panelist Dec. 13 at the Advanced Workers’ Compensation seminar being presented in Hartford by Sterling Education Services, Inc. Utilization Review and the Appeals Process: The Pitfalls and Procedure is the title of the presentation by Attorney Moller, who will also speak at Sterling Education Services’ Advanced Workers’ Compensation seminar Feb. 23 in New Haven. Attorney Moller has had the privilege of sitting on the Chairman’s Legal Advisory Committee to the Connecticut Workers’ Compensation Commission since 2000. 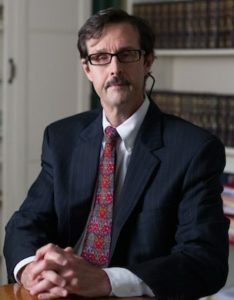 Additionally, he has served on the Workers’ Compensation Executive Committee of the Connecticut Bar Association since 1997, and has written extensively for the bar association’s Compensation Quarterly publication. In a recent post on the Cramer & Anderson website, Attorney Moller explains that he has seen compensation levels unfairly diminished through Utilization Review, the administrative process employers or insurers can use to get an “unofficial” second opinion about the necessity of treatment a physician is seeking. Through Utilization Review the “appropriate” medical treatment for an injured worker ends up being determined by what Attorney Moller called a vending company. The process, he said, is an end-run around the Workers’ Compensation Commission. “It’s some doctor reviewing it in Texas,” said Attorney Moller, describing a process that is not authorizing levels of treatment necessary for getting employees back to work—the goal of the workers’ compensation system. “And nobody has a say about it until you bring it to the commission at the end,” Attorney Moller said of a hearing process available in Connecticut. In addition to Workers’ Compensation, Attorney Moller’s primary Practice Areas include Personal Injury (motor vehicle accidents), and Premises Liability, dealing with property hazards that cause harm. Attorney Moller recently secured a $450,000 mediation settlement in a motor-vehicle-accident case, going up against a major insurer known for fighting hard to avoid such settlements. He has also secured similar settlements for his Workers’ Compensation clients. In addition to lecturing for Sterling Education Services, Attorney Moller continues to lecture on Workers’ Compensation issues for the Connecticut Bar Association, and the Connecticut Trial Lawyers Association. Attorney Moller is a Cramer & Anderson partner based in the New Milford office. He may be reached at (860) 355-2631 or by email at bmoller@crameranderson.com. The firm’s team of attorneys dedicated to representing injured workers also includes Attorneys Scott McCarthy, Thomas Mott and Ken Taylor in the New Milford office and Attorney Chris Sochacki in the Litchfield office. Attorney Lisa Rivas in the Danbury office also handles workers’ comp issues, including for Spanish speaking clients. Cramer & Anderson also has offices in Kent and Washington Depot. For more information, see the website at crameranderson.com or call the New Milford office at (860) 355-2631.